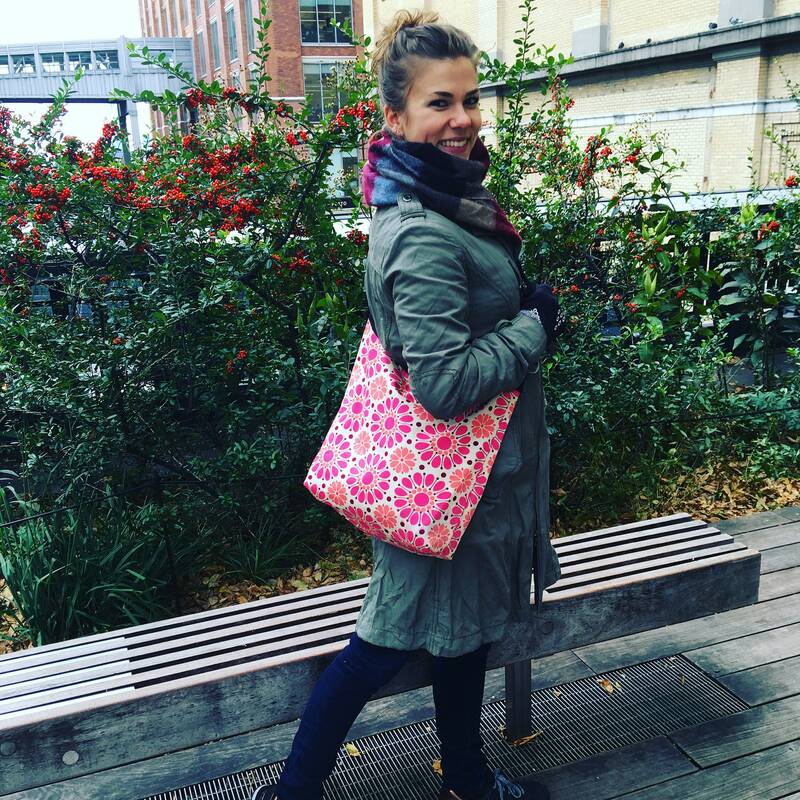 pattern is perfect for the girl or guy on the go! Lined with a black water repellent canvas, our market bag features one large interior pocket and a 1.5 inch black poly pro adjustable strap, and snap closure. 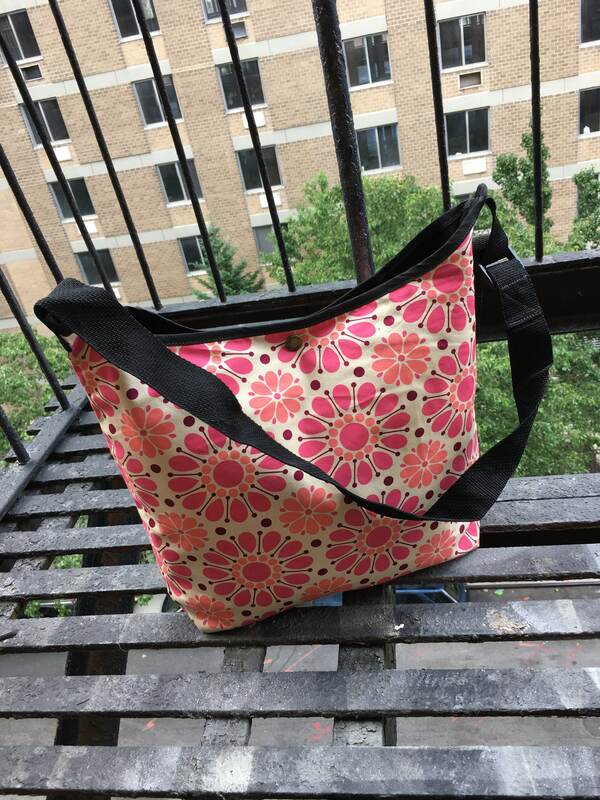 This shoulder bag can be worn comfortable cross body making it great for biking and shopping. It also fits nicely over the back of stroller to keep immediate essentials at hand. 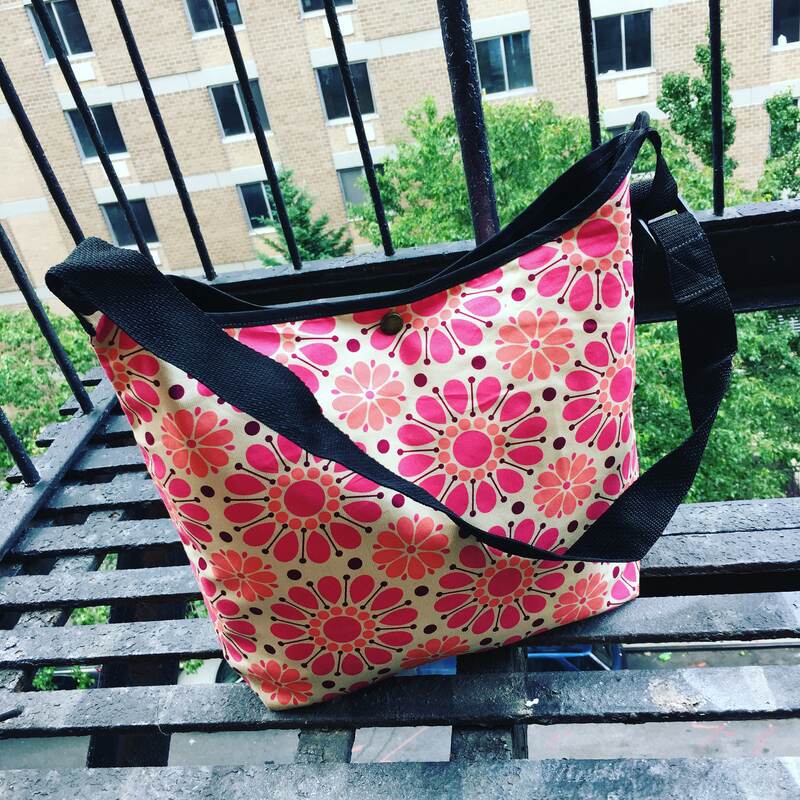 This bag also folds up easily and can be used as an extra fashionable tote for those unexpected flea market finds or groceries.